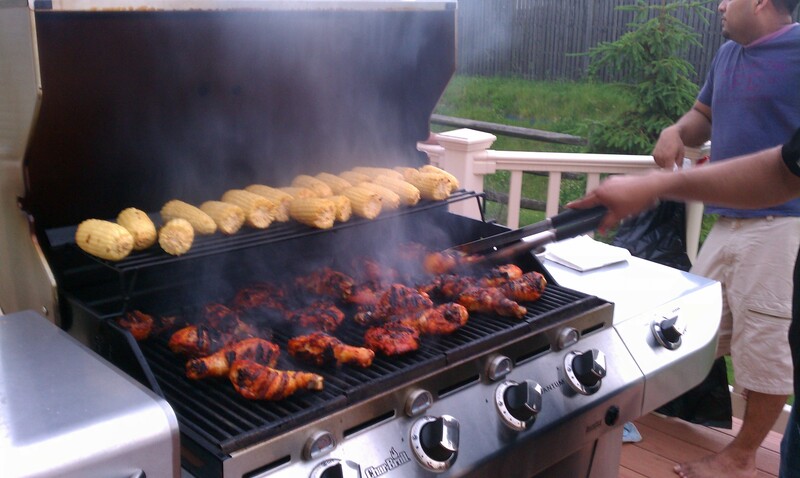 This past Memorial Day Weekend we headed up to Philly to spend some time with some of Sheena’s family. The original plan was to go to Philly, New Jersey and New York. It turned out that the families out in New York and Jersey came to Philly, so we ended up spending the entire weekend in Philly. This was Layla’s first plane trip, so we were understandably nervous. 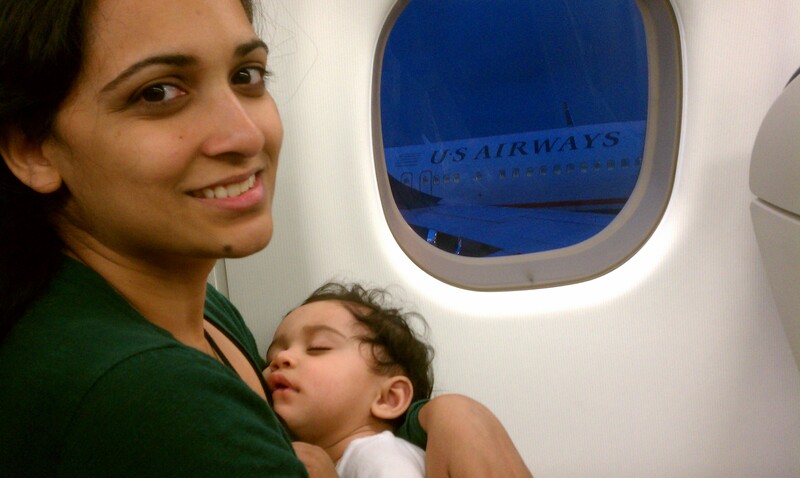 Before the trip, both Sheena and I were reading up on how to travel with an infant. We would see tips like “bring a pacifier to calm your child during take off and landing” or bring plenty of food/milk and toys to keep your child occupied”. All of the advise we read seemed very helpful, so we packed accordingly. Luckily, Layla slept for a majority of the plane ride so none of that was really necessary. Outside of sleeping, Layla played for a little while. She whined a little bit when she got bored, but nothing that was too horrible. In Philly we got a warm welcome from the family. 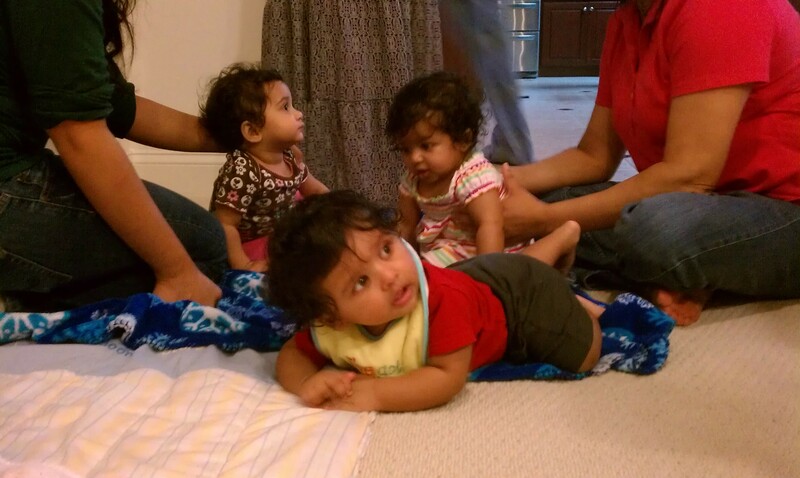 Layla got to meet her cousins. uncles and aunts and she had a blast! She loves all the attention and also loves playing with little babies as well… although she would get jealous if Sheena and I both were carrying other babies. As with any family gathering it was a weekend full of eating. The family grilled up some BBQ , which was very delicious. Then we had an impromptu thanksgiving dinner with a “turdunken” (turkey stuffed with a duck that’s stuffed with a chicken) with all the fixins! Luckily I left my diet back in Houston, so I had no reservations in diving face first in all that food! 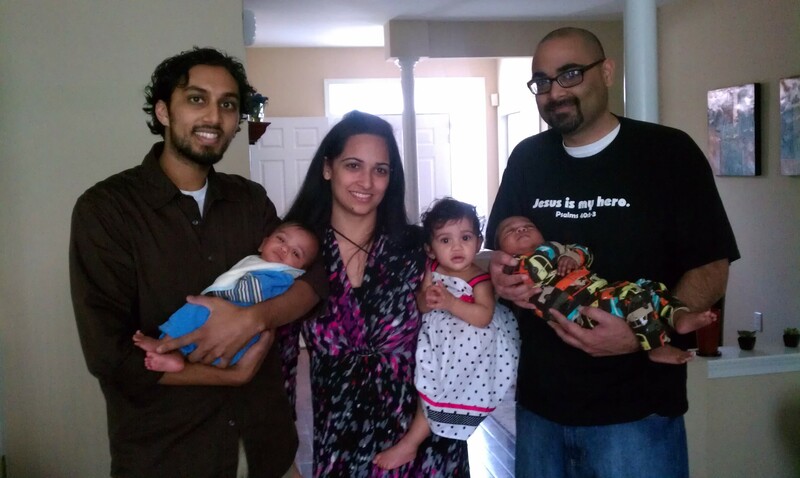 Sunday we joined Sheena’s cousins at their church for service. Although a lot of people were out on vacation because of the long weekend, the house was still pretty packed. After church, Shane, Sheena, Layla and I drove out to New Jersey to visit an old friend of mine, Jane and her husband Vincent. They recently had twins, so I was amped to see the kiddos. It was nice to be able to see Jane and Vincent as well. Since they’ve been in Jersey, our visits have been far and few between, so it was great to be able to spend some time with them. 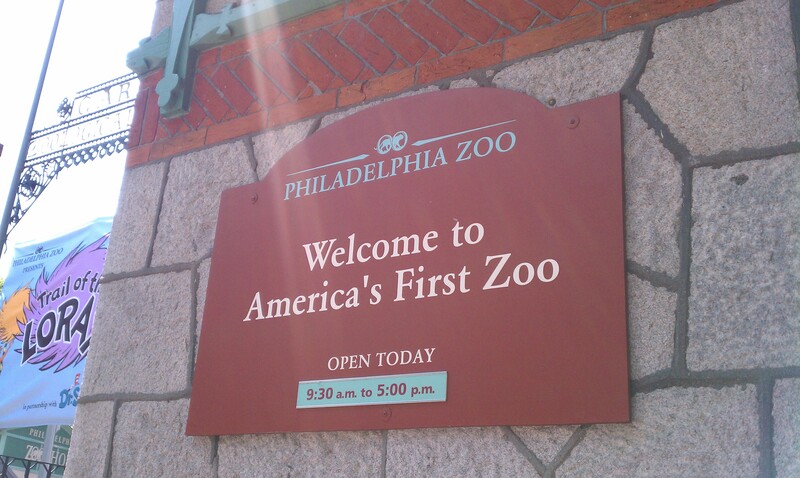 On Monday we checked out the Philly Zoo. It turned out to be a pretty hot day, but all of us including the kids did really well. We had a late flight back to Houston on Tuesday getting us home around 11:30pm. That made for a rough workday on Wednesday, but it was all worth it. Overall, it was a great weekend and was nice to spend some time with Sheena’s side of the family.